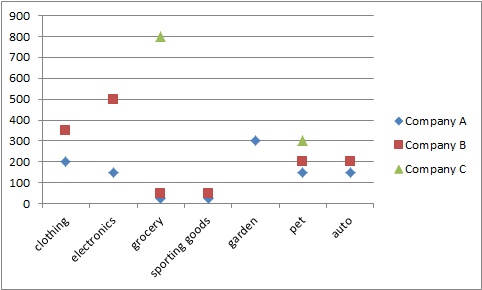 Creating a proper scatter plot in Excel can be more difficult than you’d think. 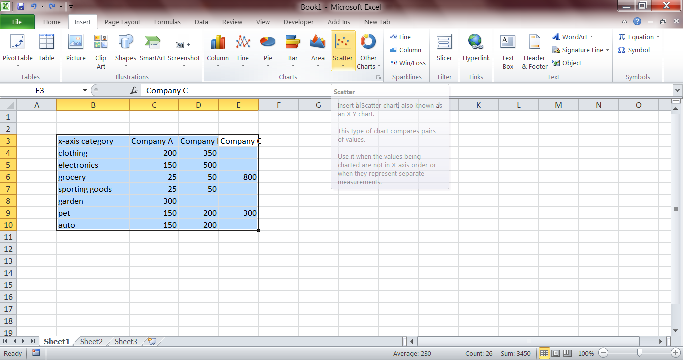 If you want text at the bottom of the chart you have to use a line graph and remove the lines. To demonstrate, here is a sample data set I made up. 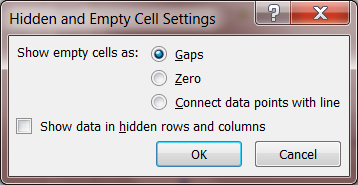 Create the scatter plot by selecting the entire data set from B3:E10. A. Select the “Insert Tab” to the right of the “Home Tab” at the top right of the screen. B. Click Scatter in the “Charts” section. Select “Scatter with only Markets”. Select the graph by left clicking. You’ll see a green area appear in the upper left portion of “tabs”. 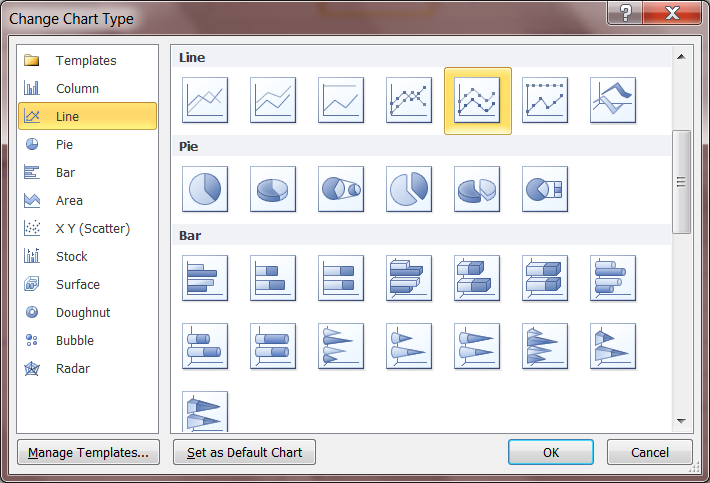 Select the design tab, left click the “Change Chart Type” option. 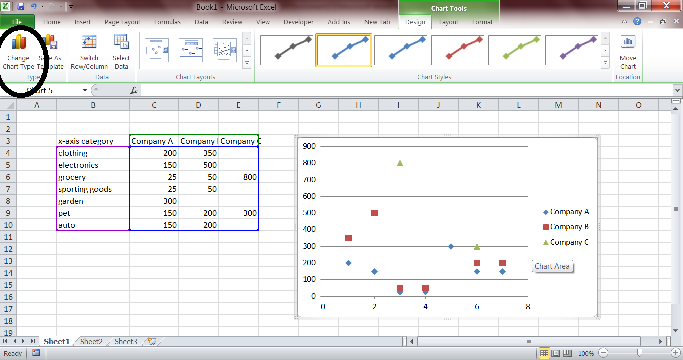 Select the line graph and the line graph with markers. Then click OK.
2. 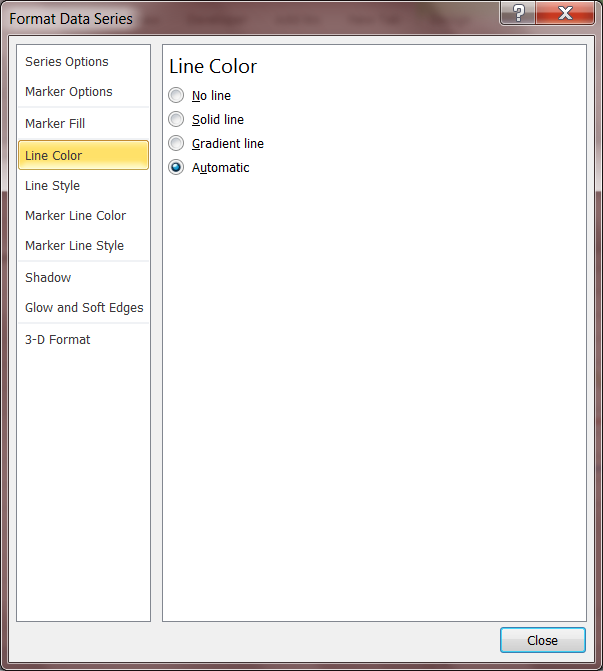 Select “No Line” in the Line color tab. 3. Close the “Format Data Series” menu. Now remove the zero values from the chart. 1. For each series, select the series by left clicking a data point and go to “Design” tab in the green chart tools menu at the upper right. 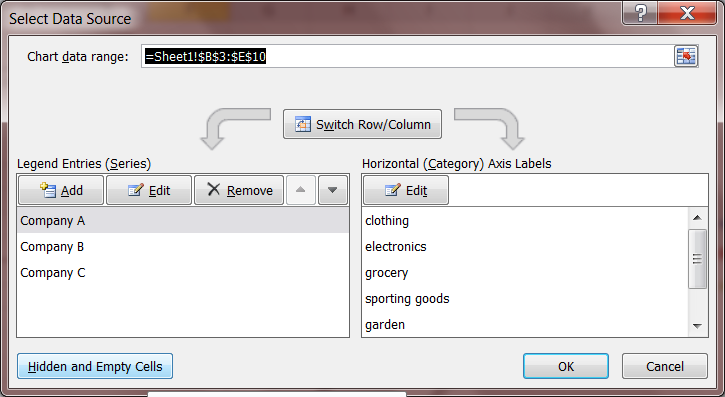 Click OK. Then Click OK again on the Select Data Source Box to accept changes. Your finished scatter plot should look like the one below.